Modern cat furniture is a hip, new way to spoil your cat. Let’s face it, we love to pamper our felines and what better way to do just that than with stylish cat furniture! Not only does modern cat furniture look so good alongside your home decor, but cats love the unique designs. It just means more ways to climb and take naps! But luxury cat furniture has so much more to offer than just aesthetic! 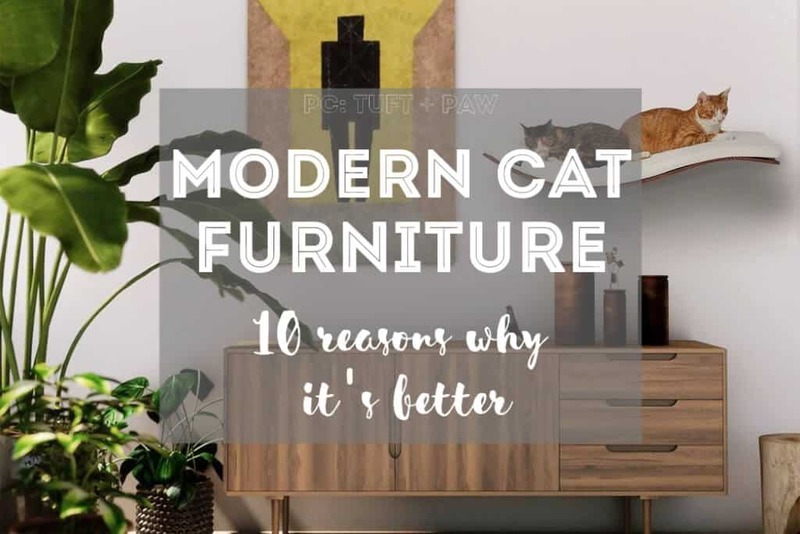 Here are 10 reasons why we think buying modern cat furniture is BETTER. Let’s talk about the elephant in the room. Yes, luxury cat furniture is more expensive than normal cat furniture. But for many good reasons! Specifically, modern cat furniture tends to last much longer compared to cheap cat furniture thanks to the combination of high-quality materials, often hand-selected, and overall design. The design of modern cat furniture is MUCH more well-thought and crafted, for one. Usually, modern cat furniture has much more value/price vs. commercial cat furniture. Makers of modern cat furniture understand cats on a whole new level. They take engineering and match it with simple design techniques that mirror a cat’s natural instinct. The end result is a beautiful piece of art that you can be proud to show off to your guests. The materials are higher-quality, sometimes even more eco-friendly as they are not mass-produced. The better the materials, the better the quality, the slightly higher the price. The price might be elevated, sure. But there are vendors of modern cat furniture who give back or donate! Just look at Tuft & Paw, for example. 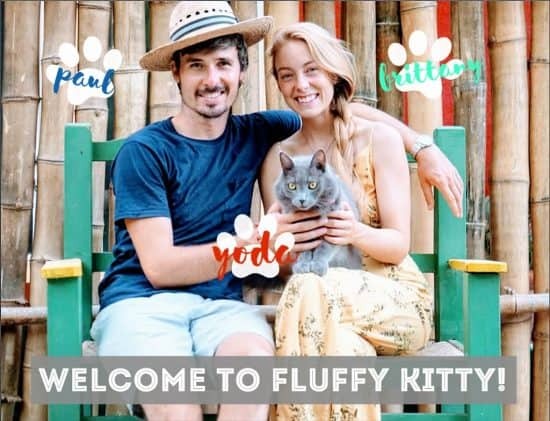 If you purchase modern cat furniture via their URL tuftandpaw.com/change then they will donate 10% of those sales to an organization of your choice! 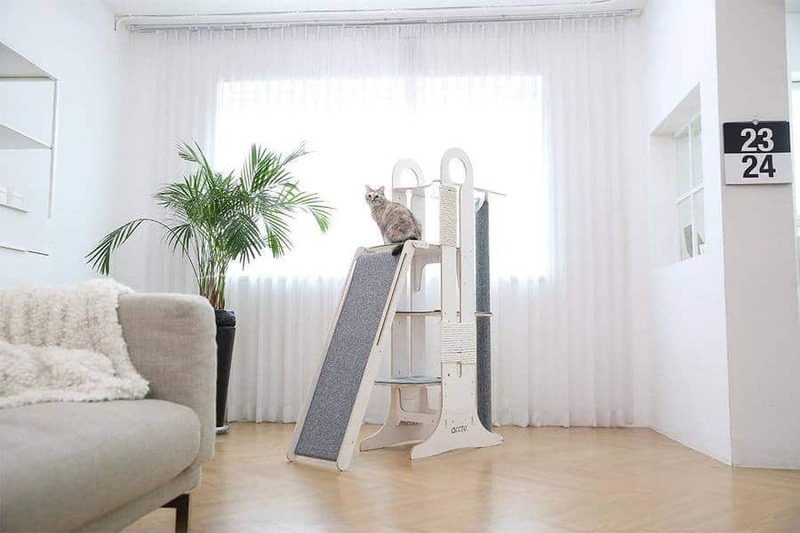 Instead of buying your cat furniture in the huge pet stores, try buying from private owners and makers of cat furniture who go to great lengths to perfect their product. To use Tuft + Paw again as a reference, they have a strict policy that supports only ethically responsible companies and business owners who help craft their designs. Buying from brands like them not only supports their efforts, but it also helps to reduce your cat’s carbon paw print. While it seems that buying stylish cat furniture is for us humans rather than for our cats, the opposite is true. Cats love when they get new toys, beds, trees, you name it. They just know that it’s for them. And sure, while they’ll always be humble and play with your Amazon boxes, they won’t ever tire from rubbing or sleeping on their luxury cat furniture. 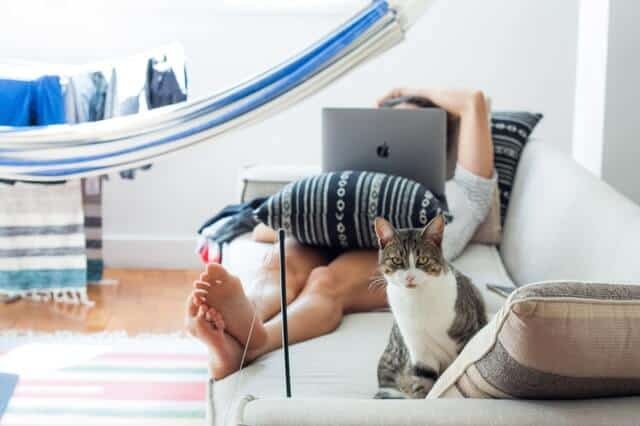 Not to retouch upon the materials of modern cat furniture, again, but these styles tend to be WAY safer and plenty more durable than your regular cat stands, beds, and so on. As we said, modern cat furniture tends to not be so mass-produced, which can result in careless products with faulty shelves, nails, and so on. What you want for your cat is something that will last, and in this case, that’s modern cat furniture 100% of the time. When you hand over a chunk of money for a product, you expect timeliness and excellent service, right? It all relates, but if you buy from artisans that take the time and effort to craft your perfect cat hideaway or tree, then it’s likely they’ll be there in case a problem arises. If you arrive home and don’t know how to install, maybe they’ll offer to send a team member out to help you. That’s unlikely to happen from a cheap cat furniture company who only cares about your $ and not your loyalty. It can be an upfront cost to invest in high-quality cat products. But let us tell you, it’s so worth it! If you are settled, have a cat, or several, you’ll absolutely save more money over time if you are able to invest in higher-quality products upfront rather than waiting until later. Or worse, you might keep buying cheap alternatives over and over, creating more waste and spending more money! How to Keep Your Cat from Scratching Up Your Furniture? The biggest mistake cat owners make is not providing an outlet for their cat to scratch and play. We see it happen all the time! Whenever we move somewhere new, one of the very first products we buy for Yoda (or reuse if we can) is a piece of cat furniture. It can be a scratching post, cardboard scratcher, a tree, an activity mat, and so on, whatever it is we just make sure to at least have one of it. The best way to keep your cat from scratching up your furniture is by simply providing furniture that your cat is allowed to scratch up! Think of it this way: If your cat doesn’t have their own cat furniture, they will look to YOUR furniture. Then, they tear it up. You fork over a lot of money to repair your brand new upholstery and scold the cat. But because you spent money on replacing or fixing your couch, you’re left with no change to buy a cat tree or scratcher. And on and on and on the cycle goes. These are just ten out of many reasons why we think “luxury” cat furniture is better than traditional cat furniture, but we’ll leave you with that! We personally feel that if you are able to, buying higher-quality cat furniture is a wiser decision for the long-term. What are your thoughts? Feel free to share with us in the comments below!